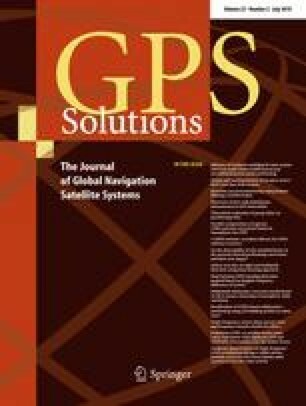 For previous studies of global navigation satellite system (GNSS) troposphere tomography, only the GNSS observations derived from ground-based stations located inside the tomographic area were considered; however, stations distributed outside the area of interest in a dense regional network were neglected. This wastes valuable GNSS data and decreases the number of voxels traveled by satellite rays. This becomes the focus of this work, which tries to use GNSS receivers located outside the tomographic region to participate in the establishment of a tomographic observation equation. A new troposphere tomography algorithm is proposed with a truncation factor model (TFM), while the ability of the TFM to calculate the sectional slant water vapor inside the tomographic area, derived from the receivers outside this area, has been verified. The proposed algorithm is validated using the observed data collected over 31 days from the continuously operating reference system network of Zhejiang Province, China. At elevation angle masks of 10°, the number of satellite rays used has increased by 21.27% while the number of voxels transited by satellite rays has increased by 13.97% from 65.44 to 79.23% when adopting the TFM. The compared result of integrated water vapor with those from radiosonde data reveals that the RMS error and bias of the proposed algorithm are 4.1 mm and 0.06 mm, respectively, while those of the conventional method are 4.8 mm and − 0.34 mm, respectively. Water vapor profile comparison also shows that the RMS error and bias of the proposed algorithm are superior with average values of 1.17 g m−3 and 0.02 g m−3 to that of the conventional algorithm with values of 1.44 g m−3 and 0.03 g m−3, respectively. The PWV differences between tomography and GAMIT further indicate a good performance of the proposed algorithm with the values of RMS error and bias of 8.7 mm and 0.5 mm, respectively, while those of the traditional method are 12.6 mm and 0.9 mm, respectively. The authors would like to thank IGAR for providing access to the web-based IGAR data. The Zhejiang administration of surveying mapping and geoinformation is also acknowledged for providing the experimental data. This research was supported by the State Key Program of National Natural Science Foundation of China (41730109), Scientific Research Program of Shaanxi Provincial Education Department (18JK0508), the Excellent Youth Science and Technology Fund Project of Xi’an University of Science and Technology (2018YQ3-12) and the Startup Foundation for Doctor of Xi’an University of Science and Technology (2017QDJ041).